There are just very few things that can instantly take my mind back home. Kelantanese food, Langkawi beaches and the brilliant tv ads by Yasmin. She really did a brilliant job at reminding us how easy it is to live peacefully as Malaysian. Merdeka, Raya, Chinese New Year and Deepavali will never be the same again without her masterpiece! – Joe Jaafar, England. Yasmin Ahmad, you are the truly Malaysian unity icon. Al-Fatihah & R.I.P – Nurul-Shah Alam. Yasmin, I have always admired your courage and the way you portrayed your ideals and values in your commendable works. Not only that I believed in it, I tried to exercise it as well. To say that you are an august personage is truly an understatement. Our thoughts and prayers are with you. Al-fatihah. – N A Zakariya, Wellington. Creating a meaningful, down-to-earth and simply inspiring piece of advertisement takes not only talent but it takes someone who could see beyond faces and gets down to the basics of life – the heart of the matter. Through the inspiring work of Yasmin Ahmad, we are reminded of the roots of our rich culture, our familY,our racial harmony, our origin. Yasmin Ahmad is now gone but through her work she has touched many hearts. Rest in peace, Yasmin. – SARAWAKIAN IN KL. it rained it thundered by the news…? A talented lady she was, always making me look forward to festivals where she brings warm smiles to all the hearts of Malaysians with her very touching advertisements. A woman who looked at the film industry as a creative industry and brought it out widely. She brought many Malaysians closer by heart and made us realise how important unity is. A great loss she is, to our nation and film industry, but I hope the younger generation will continue her legacy. – Bunga Lay. I saw the news on my friends’ ym status this morning. First thing that come to my mind was the song “Lagenda”. Her works evoke the real Malaysian in us, helping us to overcome racial barriers and differences. Her work in the ‘Love of Tan Hong Ming’ was simply brilliant, making some of us reflect of our own childhood days and think why we can’t just be just Malaysians again – without any form of racialism in us. She will be remembered as a legend, always. – Vijay Nowuram, Jeddah, Kingdom of Saudi Arabia . Malaysians are fortunate to have great artistes and movie directors like P. Ramlee, Loga, Sudirman and others. 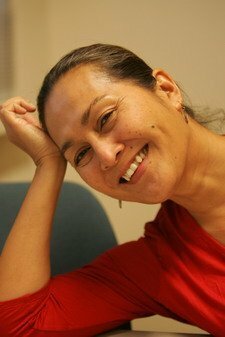 Yasmin Ahmad surely made the change in the movie industry and gave quality products. Her work predominately fosters the different religion and racial boundaries. We hope that someone will continue her work for the betterment of the country. RIP. – James (JK). I can’t stop reading over and over again the tributes written for this one Iron Lady who touched millions of hearts, across the country & world. I had an opportunity to interview her in early 2006 and since then never once failed to admire her vigour and enthusiam towards almost everything related to the field of creativity. Sepet has been my favourite all time along with other blockbuster movies. I’m dearly missing you now and will always remember you for your infectious smile. R.I.P – Subashini Rajandra. The country’s movie industry is never something we Malaysians are proud of. Yasmin Ahmad was the exception. She has and will always be the inspiration to all local movie makers and ordinary Malaysians. Her vision in all of her movies was always pure but direct. But the one thing that she was capable of which many of us failed to notice is to break the social barrier. Hers reached out to the disabled, the abused, and even our Mother Earth. Her sudden departure from us was a tragic loss. May her spirit of unity and the essence of creativity be a source of inspiration to us all. God bless her soul. R.I.P., Kak Min. – Mailed to you by Brian Andrew. Al-Fatihah to Yasmin Ahmad. Nobody tells a story like you do. – Doria Abdullah. We lost a very high standard of quality in our film industry. We remembered that the film “Sepet” was an extraordinary 1Malaysia film in which the art of the directorship is on par with international directors or better. Despite our minister, Datuk Rais Yatim’s criticism but that movie really touched the hearts of 1Malaysian and gained international recognition too. That film is always a class above all local standard of ART in directorship. – azlan goh. I’m a typical Chinese educated student, a rebellious teenager, with an imperfect impression and prejudice towards other races and religions in my early teenage years. Yet, my mind has changed, my life has changed after I got to know this talented film-maker through her commercials and blog. Frankly speaking, the ONLY Malay film director that I know is Yasmin Ahmad, and the ONLY Malay blog author that I follow is The Storyteller. You have shown us the beauty of a multiracial society through the heart- touching movies and ads. And I believe, your commercials and movies with themes of love, harmony, and respect to one another have inspired everyone out there…As what people said, you made every Malaysian want to be a Malaysian and remind us that we have always been Malaysians. When life separates us I’ll know it is only your soul Saying goodbye to your body But your spirit will be with me always. – Betty. Kak Yasmin was buried today, and forever we would miss that cheeky smile of hers, or that twinkling in her eyes. A lot like Dumbledore, she rallied Malaysians to unite against racism with her ingenuity. Alas, it is left to us as to how we are going to brave this precarious world. For many who sees Yasmin as a person who renounced her religion, let it be known that she has managed to fight for the true spirit of Islam in her own ways. And that was fought without sidelining any other Malaysians. Al-Fatihah. – Syed Nizamuddin, UiTM Sarawak. Thank you for your great advertisements and movies. Thank you for being such a great storyteller and film maker. We cant get another Yasmin Ahmad. She is a legacy in the Malaysian film industry. My heartfelt condolence to her family members. – shathish, Damansara. It is a heartbreaking news knowing the passing of such a wonderful lady like Yasmin Ahmad. Though I do not know her personally, but I always follow her development in the printed and electronic media and Yasmin has got this ‘gift’ from God that very few of us have, especially in this sophiscated and modern world, that is her words ‘touch’ deeply into our hearts and these have been translated into her films and advertisements. I still can’t forget about her PETRONAS advertisements for Hari Raya, which make my eyes tearful. That’s the kind of message she conveyed through her works. Rest in Peace Yasmin. You will always be loved and remembered by us. – Burn, Sri Hartamas. Getting a twitter update in the wee hours of the morning today was definitely heart breaking and devastating. Yasmin Ahmad was more than just an incredible filmaker, she was an inspiring individual not just to me but to everyone out there. This noble lady should be commended on her tremendous effort of producing heart -touching ads which portrays the true Malaysia. She has given us the gift that we will definitely treasure. Rest in peace Yasmin Ahmad, as you never fail to inspire me everyday although being thousands of miles away. – Yuvha Dharshini, Auckland, New Zealand.